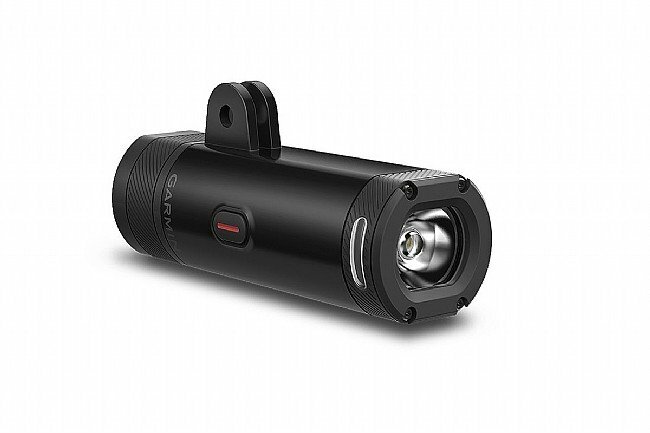 The Varia UT800 Smart Headlight from Garmin emits up to 800 lumens with 270 degrees of visibility and automatically adjusts its brightness based on speed and environmental light to provide the perfect amount of clarity for navigating the way ahead. In addition to facilitating safer navigation, the situationally appropriate brightness helps conserve UT800’s battery so you can go longer between charges. If you prefer a specific steady beam, you can choose from the 5 modes of operation: high, medium, low, night flash and day flash. The UT800 is compatible with Garmin Edge computers as well as certain light sensors and remotes so you can sync up and control the light through an alternative platform. Garmin gave the UT800 a water rating of IPX7 so it’s highly water resistant and performs well in rain, snow, and intermittent splashing. Dimensions (LxWxH): 96.6 mm x 33.5 mm x 29.7 mm; 44.7 mm with flange; Weight:130.0 g.
Purchased to pair and compliment my Garmin 520 computer that I use exclusively on a roadbike. I was drawn to the clean look and features. The product description doesn't say it, but the standard mount option comes with everything you need to neatly install upside down under your Garmin computer and even includes the dual upfront mount in the box. Realizing this makes the price much more understandable and reasonable considering the solid quality of both the light and mount....though I agree with others that the charge time is somewhat less than expected. And as always Western Bike Works has the best price available on the internet! The mounting and form factor are top notch, as is the integration with Garmin head units. Only complaint is that battery life seems somewhat less than advertised. I haven't conducted scientific tests, but it seems to need charging more often than I would have thought. On its highest setting you'll be lucky to get 45 mins of light. Probably less. But wait there's more... when you sync the light up to your Garmin cycling computer using the smart technology be prepared to have the cycling computer completely freeze up and require a factory reset. That's right..... you'll need to re-program all your screens, personal data, etc... On the plus side, it looks nice. I have the light mounted to my helmet using a GoPro system. The light works well and the battery life has been very good. When connected to a Garmin head unit, the light will turn onoff automatically and will get brighter with speed. Light coverage is good for the trails I am riding. I generally have a light on the bars plus this one on the helmet. Easy to attach to the Garmin computer dual mount without taking up space on the handlebars. Also, very easy to turn on andor adjust mode while riding. It has a reasonable operating time before required recharging. It is also water-resistant as I found out when I was caught in a rainstorm. The headlight continued to function properly while my taillight (another brand) was not able to handle the deluge. However, the Varia is more expensive than other headlights of similar wattage. Garmin makes pretty good products and their UT800 is no different. Its bluetooth compatible and you can hook it up to your existing Garmin Edge device for connectivity. Its baytery life is pretty good lasting around a couple of hours on the solid beam section. I have this parked with the Garmin Varia and they work well with one another. Hopefully their next iteration the light will be better. The road bike version of Varia 800 comes with dual holder for garmin gps and light. 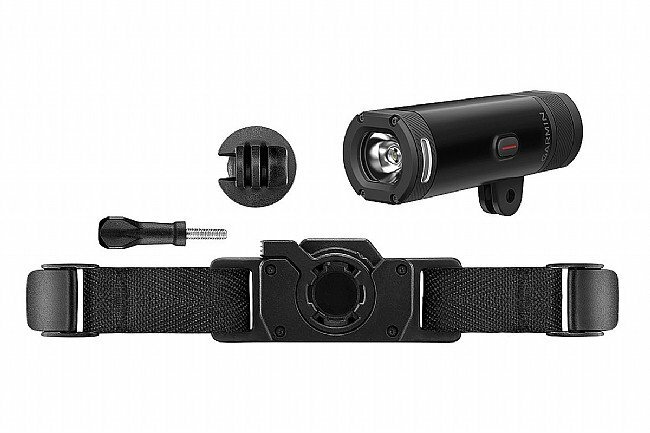 Easy to assemble and has settings for night riding to bright flashing for daytime. My only complaint and its not against the light so much but the blue tooth is interfering with my garmin 810. Its not supposed to work with the 810 but its causing pauseresume issues as its tryng to connect. Love the style, mount and workmanship. Mounts on the bottom of my Garmin mount. I used a 1030 in top and it connects to the light. I use the light in flasher mode to be seen during the day by motorists. It works flawlessly with my Garmin Varia light system And integrates perfectly with my Garmin edge 1000.